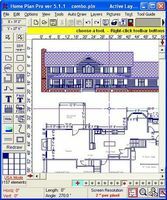 CADsketch allows you to quickly and easily create hand-drawn effects from AutoCAD DWG/DXF and HPGL PLT files. CADsketch takes the lines in your drawings and applies random changes to them. Each line comes out slightly differently, so the results are not predictable - just like the human hand... With CADsketch, you can add spontaneity and excitement! 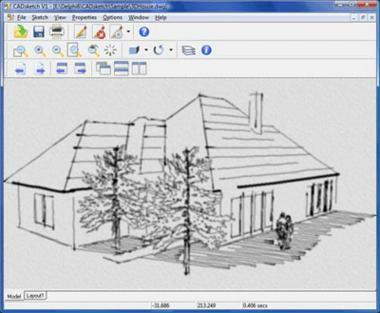 Turn CAD drawings into architectural illustrations with CADsketch. 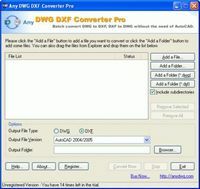 You can work directly with AutoCAD drawings, rather than first having to save drawings into another file format. You can view the sketched effect directly and undo or make modifications as required. Predefined settings include Steady, Wobbly, Hasty and Architectural, each of which can be modified to produce custom settings that can be saved and recalled for future use. By modifying amplitude, steps, overshoot and undershoot, you can achieve many effects. The control for setting amplitude for vertical lines yields a more realistic effect for architectural drawing. The pen control allows you to select the type of pen used for the drawing. Settings range from Ball Pen to Ink Pen. The Ink Pen setting adds a splutter or thickening to the beginning of each line. The effects can be applied by layer or by color. Individual styles can be applied to each layer/color, or turned off completely. 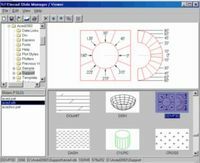 Additionally, you can choose which CAD objects to sketch (such as lines, polylines, circles, text, etc.). You can also add special effects and backgrounds to your sketched drawings. Backgrounds can be solid fills, gradient fills, and tiled images. Additionally, you can save/retrieve sketch settings for individual drawings. Sketched drawings can be printed, copied to the Windows Clipboard, saved to PDF, or saved to a variety of bitmapped file formats for further processing with a graphics application.